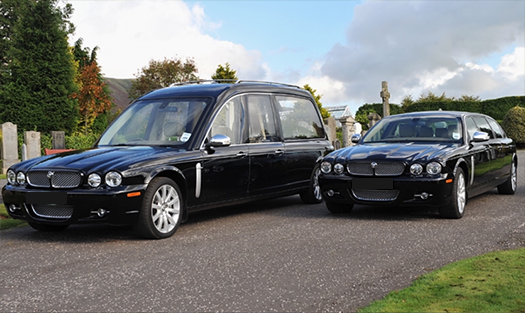 Provision of the Funeral Directors Services, provision of a simple coffin – Local removal in working hours, provision of a hearse to a crematorium of our choice on a date & time of our choice, early morning crematorium fee and doctors fee if applicable. Professional service fee, local removal in working hours, preparation services, viewing, The Chapleton Coffin, provision of the hearse. Professional service fee, local removal in working hours, preparation services, viewing, solid wood grave marker or an Urn, provision of the Hearse and 1 Limousine. Professional service fee, local removal in working hours, preparation services, viewing, solid wood grave marker or an Urn, provision of the Hearse and 1 Limousine, one 3 letter floral tribute, 4ft Coffin spray of seasonal flowers & a small wreath. Professional service fee, local removal in working hours, preparation services, Viewing, solid wood grave marker or an Urn, provision of the Hearse and 2 Limousines, one 3 letter floral tribute, 4ft Coffin spray of seasonal flowers & a small wreath, 100 eight page order of service booklets and a lined personalised picture condolence book. Professional service fee, local removal in working hours, viewing, preparation services, solid wood grave marker or an Urn, provision a two horse drawn carriage Hearse and 2 Limousines, one 3 letter floral tribute, 4ft Coffin spray of seasonal flowers & a small wreath, 100 eight page order of service booklets and a lined personalised picture condolence book. *Ruby, Sapphire, Emerald & Diamond packages exclude a coffin or casket, these can be selected accordingly*. *All Inclusive packages exclude any disbursements payable on your behalf*. The services included in the packages are fixed, a reduction in service will not represent a reduction in cost, however items from the pricelist may be added. We will make all payments to Clergy, Crematorium or Cemetery, Doctors, Newspapers etc. as required or instructed and account to you in our itemised account. We can provide if requested Orders of Service for any funeral service. These can be provided in the form of a booklet with a choice of borders and print styles or they can be personalised with photographs or images of your choice in black-and-white, sepia or colour. In all instances we will need sufficient time to consult with you regarding your requirements and to prepare a draft for approval, prior to the funeral. The finished copies will be ready at our offices for collection the day before the funeral. The order of service provides a source of remembrance for those attending the funeral and also for those who are unable to attend. When arranging the funeral we can also provide assistance with compiling obituary notices for local and national newspapers, and to place these on your behalf.